Sometimes a hat is not just for keeping out the winter winds. A hat can be the perfect accessory, just right for capping off a look, an outfit or a mood, or for trapping unruly hair! 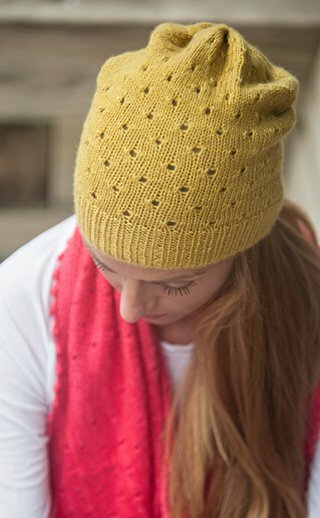 Our Fiddlehead, knit in your favorite Plucky Sport weight yarn (especially fantastic in cashmere! 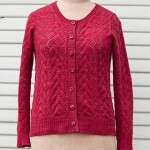 ), uses a delicate eyelet pattern that might even let a warm breeze in.